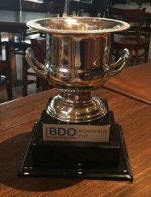 Northfield Racquet and Fitness Club in Waterloo, Ontario is poised to host the 2nd annual BDO Northfield Cup. This PSA M5 event was placed to immediately follow the Nash Cup in London, Ontario which is just 60 minutes west down the 401. Twelve players will be playing in both events. The city of Waterloo is located in the heart of Canada’s Technology Triangle, in the Region of Waterloo. Within 25 square miles of land area lives a diverse population of over 132,000 who contribute to a vibrant culture. A dynamic urban municipality in southwestern Ontario with a strong cultural and economic base. Renowned post-secondary institutions, global think tanks and major employers call Waterloo home. The quality of life here is enhanced by the arts, culture, heritage scenes, recreation opportunities, parks and trails, facilities, programs, services and more. Waterloo is a great place to live, work, learn and play (squash). 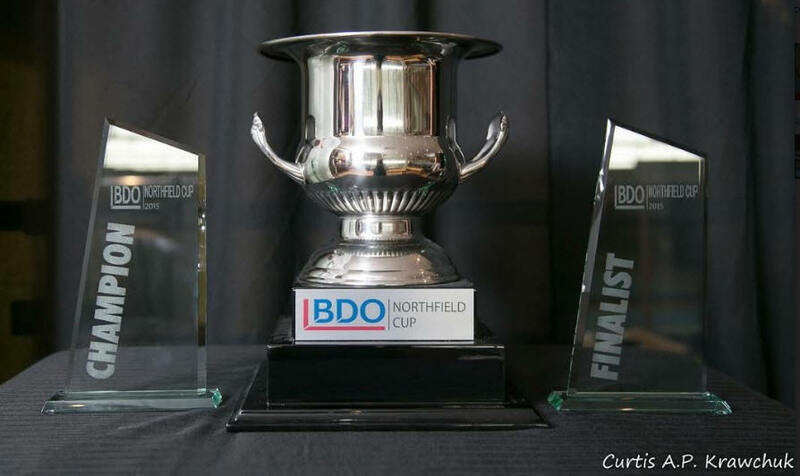 BDO Northfield Cup helps local varsity players experience squash at the professional level by providing three local qualifier spots. Qualifying for the University of Waterloo is Ravi Seth (Cameron Seth’s (previous local qualifier for UW last year) younger brother. Wilfrid Laurier University is represented by Chandon Yu. University of Guelph will be represented by Hossam El Kady once again this year. 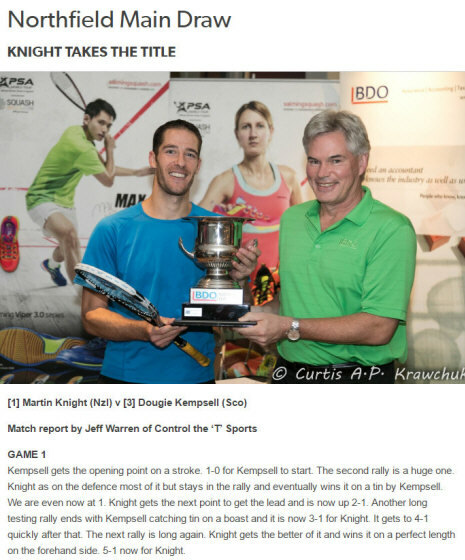 Top Seeds include World # 75 Martin Knight of New Zealand. Regrettably, Reiko Peter of Switzerland withdrew from the tournament due to injury. Jan Van Den Herrewegen, #100 of Belgium is a crowd favorite and second seed. Canadian, Michael McCue is third seed, ranked #110 and will look to use home soil to his advantage.